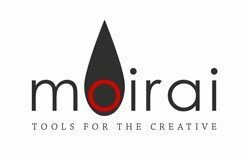 moirai Sequence allows you to streamline proofing of large sets of photos. It allows you to select a group of images – dozens or even hundreds – and then review and work with them in Photoshop® sequentially. Instead of loading many images at once, which can degrade the performance of your computer (especially if the images are high resolution), moirai Sequence lets you step through them one at a time. You don’t have to remember where you left off since the script does that for you. You can add more images to your sequence at any time or cancel a sequence and start working on a different set of images whenever you want. You can purchase moirai Sequence by itself or get it as part of moirai Encompass v2.